Ronda Broatch is the author of Shedding Our Skins, (Finishing Line Press, 2008) and Some Other Eden, (2005). Her journal publications include: Atlanta Review, RHINO, Prairie Schooner, Fourteen Hills, Mid-American Review, and Fire On Her Tongue: An Anthology of Contemporary Women’s Poetry (Two Sylvias Press). 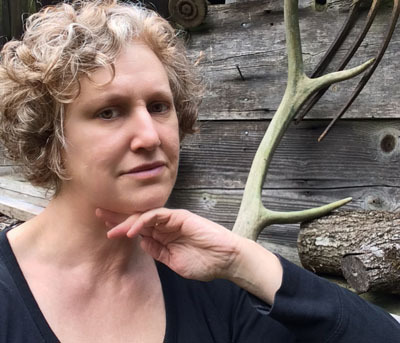 Seven-time Pushcart Prize nominee, Ronda is the recipient of an Artist Trust GAP Grant, and was a May Swenson Poetry Award finalist four years running. A Seattle native, Ronda is a graduate of the University of Washington, receiving degrees in Creative Writing, Photography, and Art, and has had the good fortune to study poetry with Nelson Bentley, and short story writing with Charles Johnson. She has taught poetry workshops to students from grade school to high school level, and has been a mentor for West Sound Academy’s literary magazine, Mud Pie. Her photography has appeared in local galleries, including the Gallery At Grace, (Grace Episcopal Church, Bainbridge Island). Ronda edits the literary journal Crab Creek Review and teaches a variety of fitness classes at the Poulsbo Athletic Club. Starting with Poetry Month three years ago, she began a tradition of reading a poem every Tuesday to her Silver Sneakers Yoga class. Ronda will be at the MoonPath Press group reading at Open Books, Seattle, WA. Saturday, November 3rd from 7:00pm - 8:30pm. reminders rest in a neat stack at its head. just beneath reach of the sun.